Can I Install Security Cameras in My Apartment? Yes, you can install security cameras in your apartment. Security cameras can be installed virtually anywhere, and there is no reason why they can't be used in an apartment. There are many security cameras that can be conveniently rested on a desk or a table to avoid having to drill holes. The best way to know exactly what takes place inside your home is by using security cameras. Depending upon the setup, a camera can record on a continuous 24-hour schedule, or it can record when motion is detected. Additional hardware will typically be required in order to achieve a 24-hour schedule, and it is not possible with every type of camera. The footage will be temporarily saved on an interactive service platform, like Total Connect 2.0 or Alarm.com. A user can access their Total Connect or Alarm.com account to view the footage and then save it for permanent use if needed. Many apartment residents will want to use security camera to monitor their homes so that they have video footage of what occurs while they are away. But some apartment landlords forbid tenants from drilling holes in the walls. Fortunately, there are certain camera models that can be easily rested on a desk or a table. These cameras do not need to be mounted on the wall or the ceiling. This makes them perfect for apartments. Keep in mind that there are a few things needed to set up security cameras. First, the user will need an alarm monitoring plan that includes video surveillance. 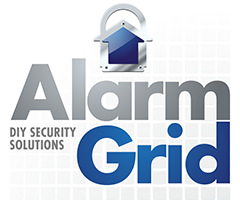 For Alarm Grid customers these are the Platinum level plans. The security cameras that are used will also need to be compatible with the user's interactive service for their security system. If a user has Total Connect 2.0, they will need a Honeywell IP Camera. If a user has Alarm.com, they will need ADC Cameras.